Howard Middleton's super-simple, beautifully fluffy cloud bread recipe is naturally gluten-free, and makes a wonderful bun for all manner of fillings, be it a classic burger or an indulgent bacon butty. 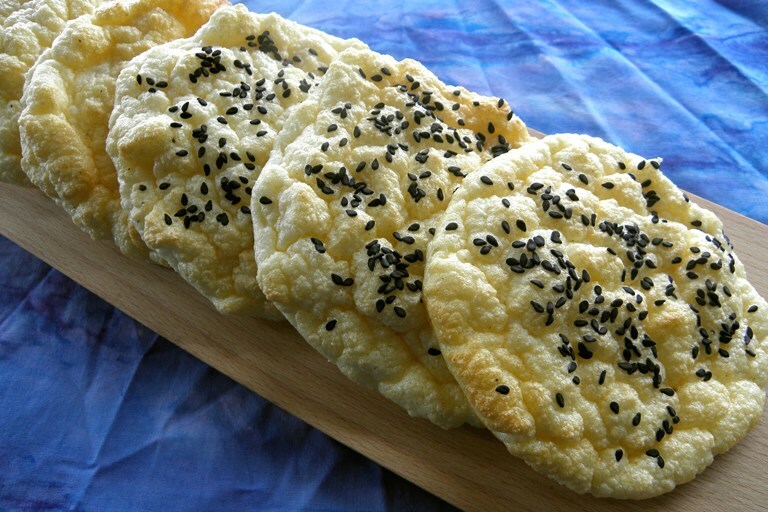 For those of us of a certain age, the idea of cloud bread may bring to mind a classic 1970s TV advert – a young woman ‘flying like a bird’ in a hot air balloon, silently extolling the virtues of a low calorie loaf. This recipe, however, is even more nimbus than Nimble. It is ‘bread’ in a very fluffy interpretation of the word – more like an ethereal omelette – but it does the job of holding a filling without the support of any flour. 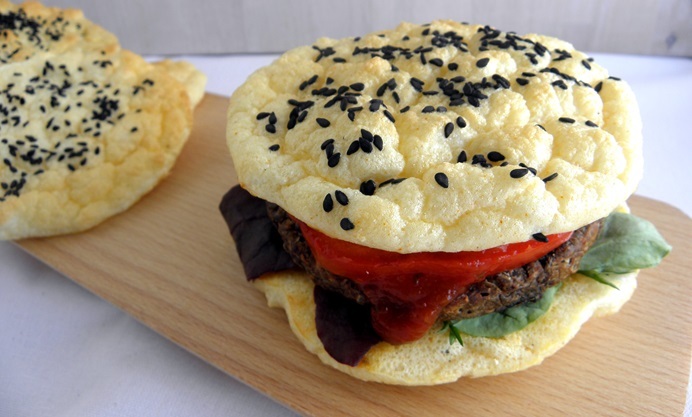 Low-carb and naturally gluten-free, its eggy flavour works well with classic pals like bacon, mushrooms and maple syrup (not necessarily all together), and sprinkled with sesame seeds it delicately interprets the role of a burger bun. Quark provides a low fat option, but almost any creamy cheese would work – Boursin with garlic and herbs produces a particularly heavenly cumulus.